Just wanted to wish everyone a happy and safe Halloween. Here are a few last minute recycled craft ideas. 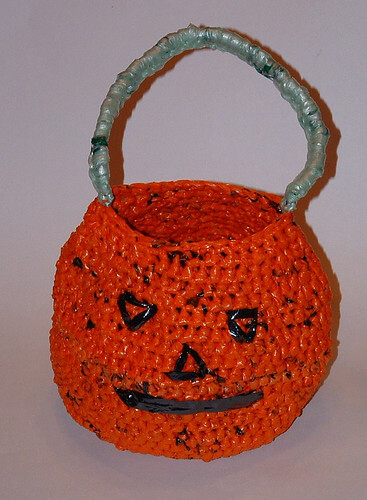 My little recycled plastic bag pumpkin is a great project that only requires a small amount of plarn. 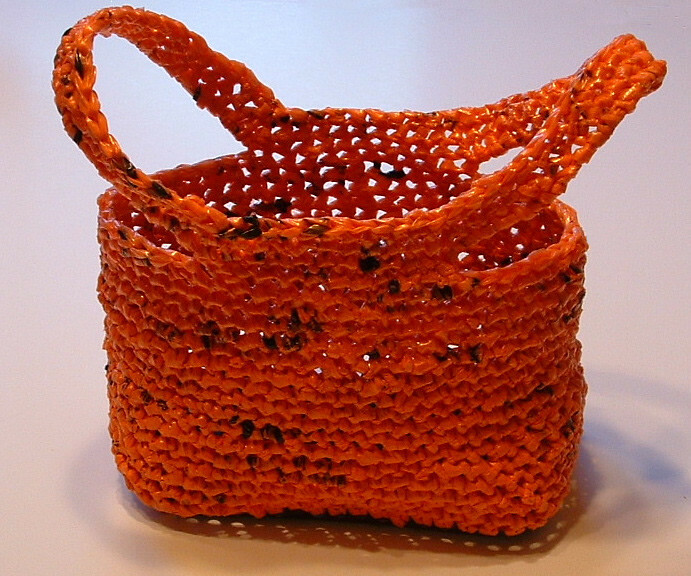 Check out this cool trick or treat bag that was completely crocheted from recycled orange plastic newspaper bags. Here is the free crochet pattern for my plarn trick or treat bag.